Goosebumps meets The Last Kids on Earth as Kelly and the babysitters try to stop an evil plan to turn kids into monsters in the third action-packed book in this hilariously scary illustrated series. It’s the end of the world as she knows it! Thirteen-year-old Kelly Ferguson’s secret life as a monster-hunting babysitter is taking a beastly turn. 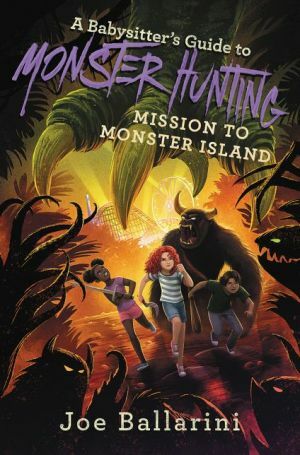 Now she has to go on a rescue mission to Monster Island—where monster royalty is turning kids into hairy mutant monsters! To pull it off, she’ll have to face off against internet trolls, trash monsters, and her fear of screwing up—plus the biggest, baddest Boogey of all. With the fate of humanity on the line, can Kelly save the kids, the world, and her own social life before the big school dance? A babysitter’s job is never done!